“Are you interested in supporting the mission and goals of academia, but not sure that a faculty position is the right path for you? Come explore how you can leverage your PhD to continue to support the university in a different capacity. 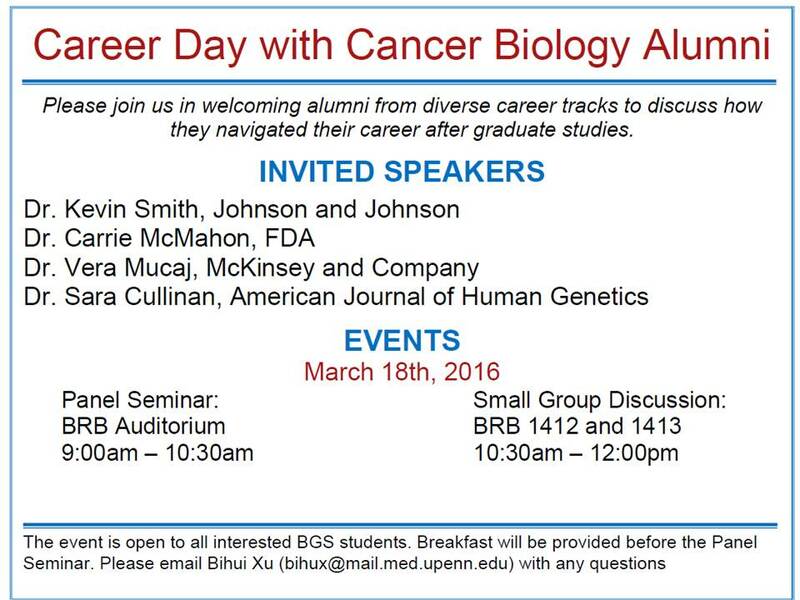 The Biomedical Graduate Student Association (BGSA) is seeking volunteers for an upcoming outreach event. 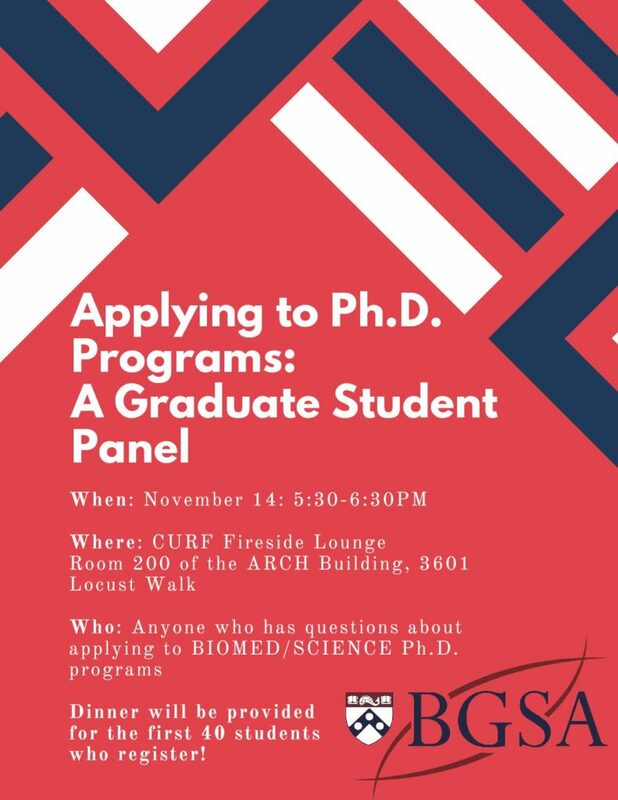 A panel of BGS graduate students will provide advice to undergraduates interested in applying to PhD programs in biomedical/scientific fields. This event is a great opportunity for current graduate students to pass on their passion for science. If you are interested in joining the panel, contact Emily Fabyanic, Chair of Academic Affairs. Come join Biomedical Graduate Studies and Biomedical Postdoctoral Program as we welcome panelists from Bristol-Myers Squibb in a moderated panel discussion on careers in the pharmaceutical industry.